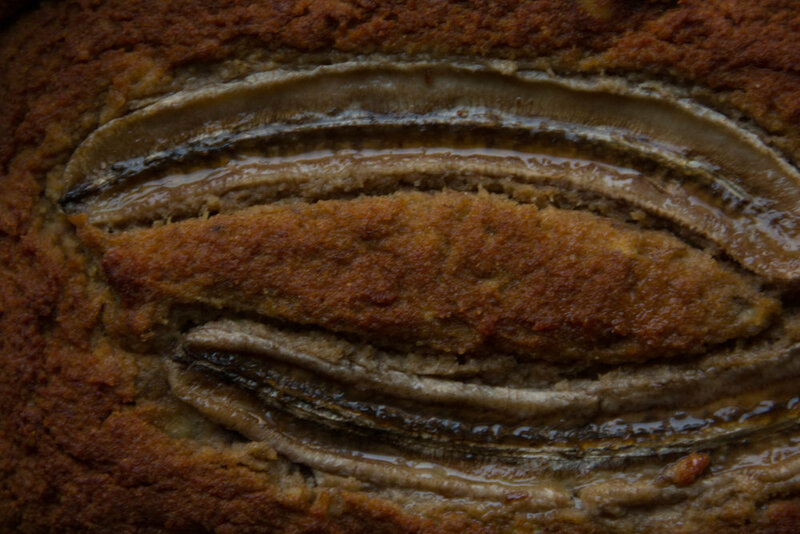 Paleo Banana and Macadamia Nut Bread... The Recipe! Like most adult women (and men, for that matter), I get onto these health kicks every once and while. Usually they are tied in with some big fitness marker that I would like to accomplish. In the past three years I have participated in all sorts of road races, triathlons, and major cycling trips with Brian, but before him I didn't really understand the appeal of organized adult sporting. The common denominator here is likely that these were team sports, and I just don't think that's my forte. I don't know why (yes I do, I am controlling), but I prefer solo athletics. Back in 2014 I decided to run my first ever half marathon. Not only was it my first half marathon, it was going to be my first running race full stop. I hadn't competed in anything since highschool, so while pretty recent (ahem, not! more like 10 years later), I was still very nervous and anxious about how I would perform. I trained for 7 months. That is probably longer than I needed but I was starting from ground negative 4. I was not a runner. Like, at all. I played water sports for most of life, so these legs were not suited for the land (cue The Little Mermaid). Needless to say the training was rough. Real rough. It didn't help that a big chunk of the training happened in the summer in 90*F heat. During the training I also tried to clean up my diet to help make me "lighter" (eye roll). I cute out gluten and upped my veggie intake and my protein intake. I did not lose weight. Spoiler alert, just cutting out gluten doesn't automatically mean healthy. Fact. Race day came and weight without much drama. I made to the finish after charging up a gnarly hill... girl passed out at the top of it... and immediately went home and gorged on probably 20 pastries. I felt horrible so decided to make another change. Still thinking that gluten was the enemy, I went the Paleo route. Which was much more successful for me. I probably still didn't lose any weight but I felt better. These bouts with healthy eating are almost always short lived. Let's be honest, I love dessert. And sugar. And real bread. And milk. I know there are subs for all of these things that will get pretty close to satisfying all of those cravings, but nothing beats the real thing every once in while. In honor of all the fad diets and health kicks I have gone on throughout my life, I give you a pretty decent, but still not the real thing Paleo Banana and Macadamia Nut Bread. There is no added sugar... it all comes from the 'nanas. I use macadamias instead of the traditional walnut, because I like the texture baked macadamias take on. I use some almond butter for added texture and flavor, and the combo of almond and coconut flours keep this loaf completely gluten free. I hope you enjoy. Just remember its never gonna be as good as the real thing. Stirring the controversy pot over here.